Yall, I am from Memphis but I am no BBQ gal. I will eat it (usually on nachos) but it’s not my favorite.. until now! 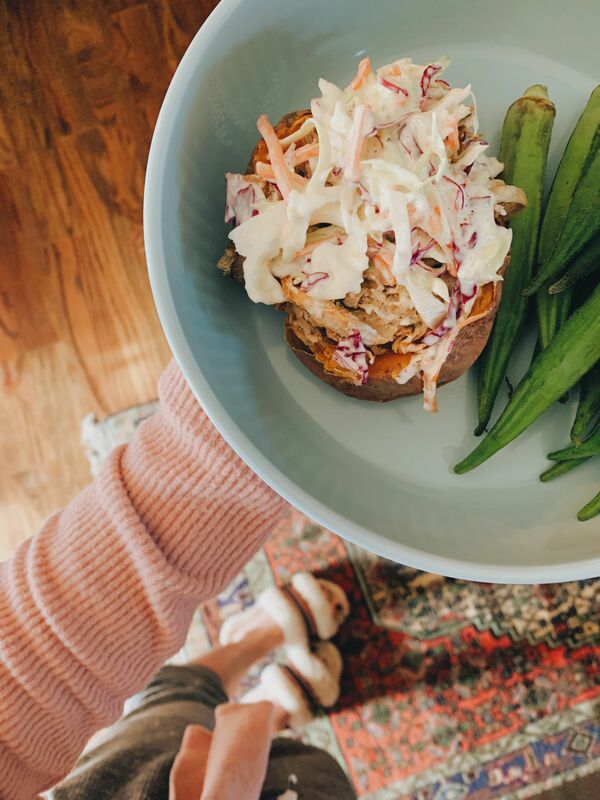 This slow cooker BBQ has changed my life, bonus points because it’s made in a slow cooker, easy and WHOLE 30 APPROVED! 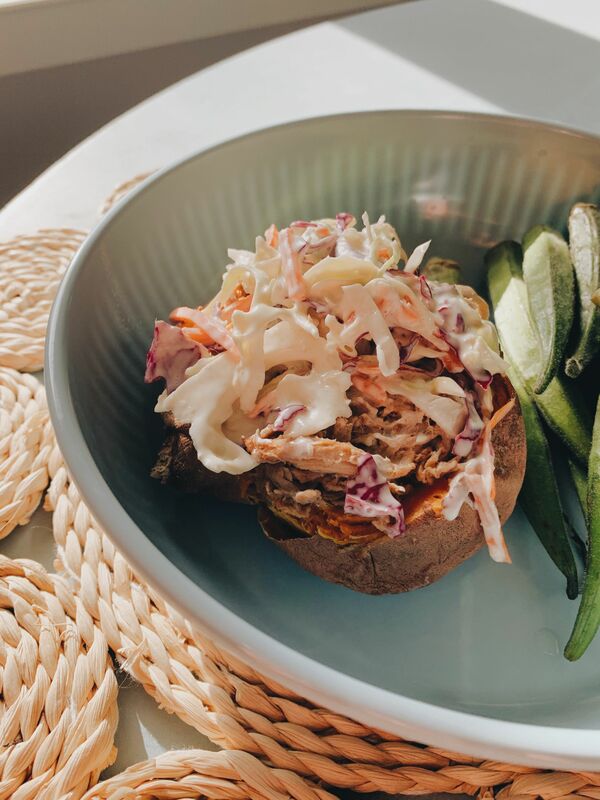 Pair this easy, delicious slow cooker BBQ with sweet potatoes and tangy, vinegar slaw.. I’m in heaven. This recipe is something we will continue to eat long, long after Whole 30, probably once a week or more and I had to share it with you all! I don’t know about you guys but when a recipe is only three (ish) ingredients, can be made by basically dumping everything in the crockpot and is SO freakin’ delicious, it’s a winner in my book. I use this crockpot with a digital timer and I love it! It can be made in a crockpot without a timer as well. We usually put everything in before bed and let it cook overnight but you could also cook it while you’re at work. To keep it Whole 30 approved, we use this Primal BBQ Sauce and no sugar added applesauce with a grass-fed pork shoulder. There are so many ways to make this recipe your own- you could use any of your favorite BBQ sauces, instead of applesauce do a can of diced pineapples, a bag of frozen peaches, or nix the fruit all together. Seriously, there is no way to go wrong! You can use this for sandwiches, nachos, salads or however you’d like! 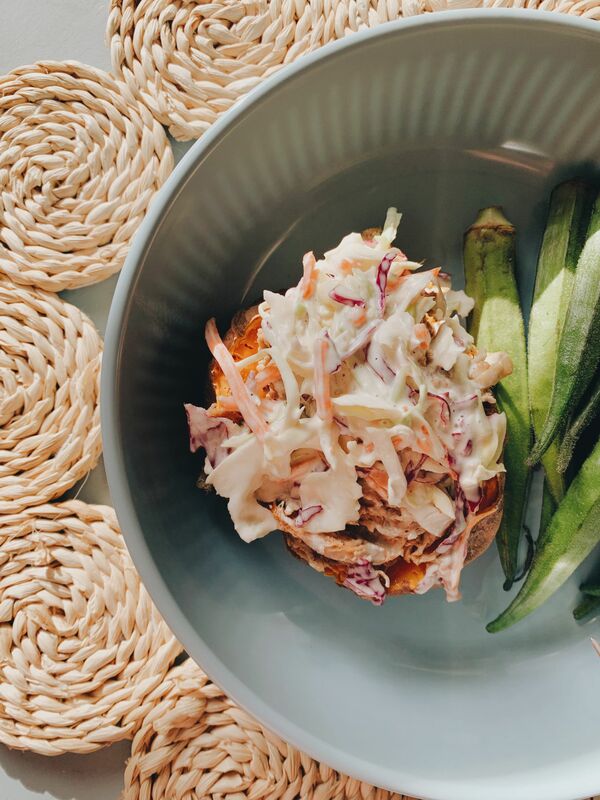 My personal favorite way is with a sweet potato and tangy coleslaw (whole 30 approved, recipe below!). It’s seriously one of my favorite dinners we’ve ever made. You can also add jalapenos if you like a little spice. Once you make the BBQ in bulk, this dinner takes about 10 minutes to throw together. I love pairing it with roasted okra! 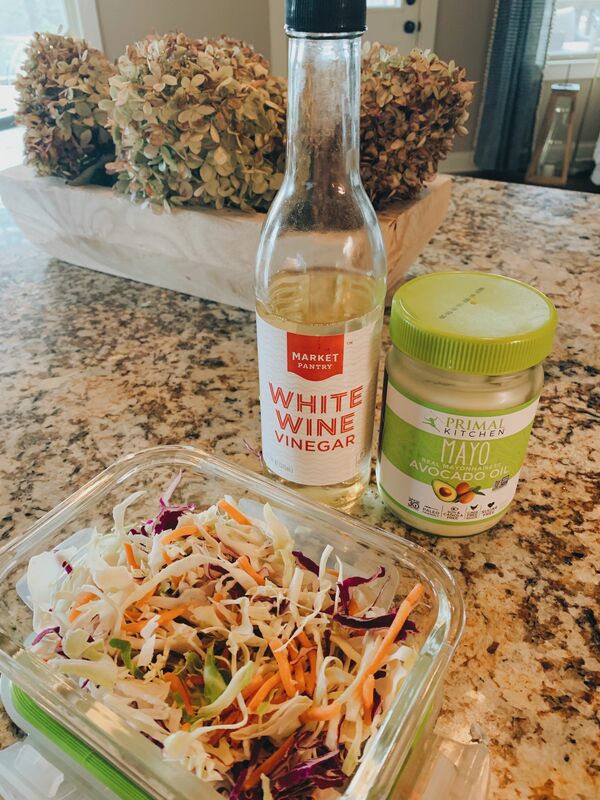 To make the vinegar slaw: I use about 2 cups of coleslaw with about 1/2 cup of avocado mayo and a few splashes of white wine vinegar. Mix it all together and store in the fridge. I really eyeball this recipe! Check out more Whole 30 fun here!